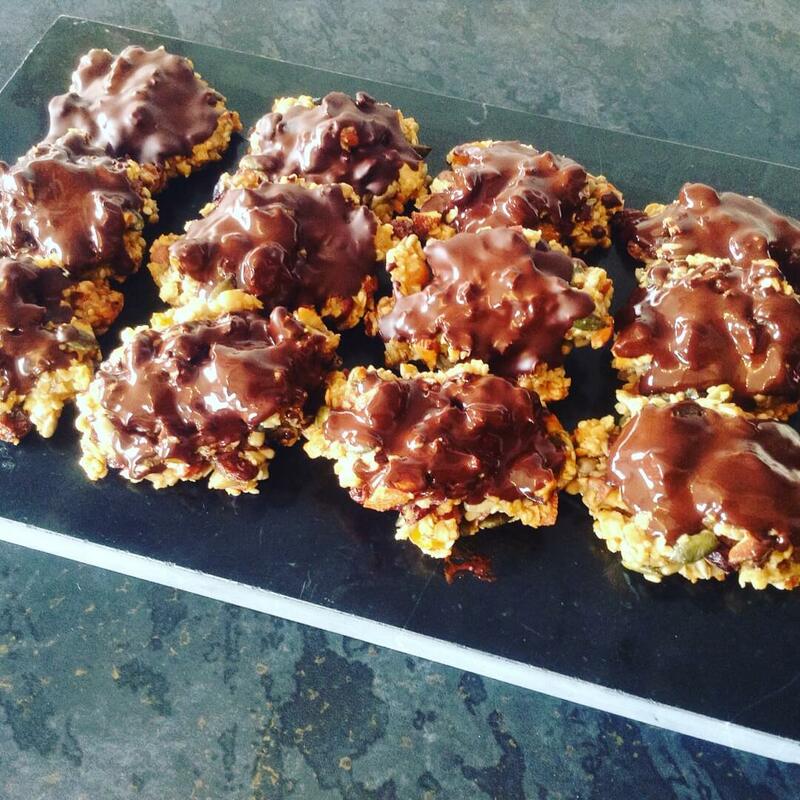 Clean Florentines – the perfect Christmas cookie! We might not be in December’s Christmas madness yet, but Bonfire Night is over, it’s nearly Thanksgiving across the pond, and I’m being booked for events with kids around healthy eating next year. What does that have to do with Christmas cookies, you might ask! Working with organisations and charities that support children and families is something that I love doing, demystifying healthy eating, and how delicious and achievable real food is. The opportunity to be introduced to them via a Christmas Cookie workshop is ideal! So, what cookie will last well as a gift, be easy to make, and is a Christmas crowd-pleaser? Florentines are perfect, with their scope for adapting and their healthy ingredient swaps. You can make them as ‘clean’ as you please, depending on your budget and what is in your cupboard already. The jewelled nuggets of apricot, blueberry and cranberry makes the biscuits like beautiful seasonal stained-glass feasts for the eyes as well as the taste buds with the chocolate hiding on the bottom of the biscuits. Lovely! the fruit can be whatever you choose. Preheat the oven to 170 degrees, and line a baking tray with baking parchment. Mix the almonds and oats with the fruit, ensuring there are no clumps of fruit sticking together. Melt the oil with the sugar and honey gently in a saucepan until combined, then add the flour, whisking briskly for a couple of minutes until it thickens up. Quickly add the milk, whisking briskly again for a minute until you have a smooth, thick mixture. Remove from the heat and stir in the fruit and oat mixture. Measure out spoonfuls of mixture onto the baking tray, leaving a bit of spreading room between spoonfuls. Even out and flatten slightly, then bake for around 15 minutes, turning the tray around half way through to ensure an even bake. Leave to cool, and when ready to decorate, melt the chocolate in a bain marie. Place the cookies on another sheet of baking parchment, face down, then drizzle and spread melted chocolate over the bottom of the cookies, and leave to cool and harden. You can also dip the cookies into the chocolate so that you have half and half versions. the choice is yours! Enjoy your clean cookies with a cuppa before, during or after the seasonal madness!